This is the first episode of Task Force X. This episode I introduce you to myself and give you a little background on my comic love. I then introduce you to Task Force X. It's made up of two teams. The Suicide Squad and Checkmate. This show will cover the John Ostrander's Suicide Squad from the late 80's and the sister title, Checkmate from the same time period. 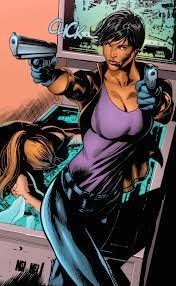 I then complain about the new CWized version of Amanda Waller. 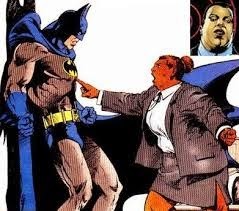 As I state in my HeadCast, I prefer the old Amanda Waller. This episode I cover The Brave and The Bold 25-27. This team is composed of Rick Flag, Jr., Jess Bright, Dr Hugh Evans, and Karin Grace. The right side shows the original Squad that is shown in these issues of The Brave and The Bold. The left side shows the reincarnated Ostrander Suicide Squad. As we hear every issue, Karin is in love with Rick Flag, while the whole team is in love with Karin Grace. For the good of the team, Karin and Rick can't be together. Mike has a great site. Check it out. Next Issue: The Brave and The Bold issues 37-39 and Action Comics 552. Be sure to join us.